Hyundai Heavy Industries (HHI), one of the world’s largest forklift manufacturers, has announced 12 new small to medium-sized forklift trucks from the company’s 9-Series line. The dozen models range from 2.2t to 5t, and the most recent of the models feature advanced features designed to enhance both performance and safety factors. The new Hyundai 9-Series lifts offer safer loading and unloading, thanks to a monitor that calculates and displays load weight, along with other critical information, including the gradient of the machine and also the delta (“difference”) angle between ground level and the mast. This safety-related data is displayed in real-time, so forklift truck operators will have the most up-to-date information available. Along with the load and angle data, the 9-Series lifts also have high-visibility LED lamps and cameras to help reduce the risk of collisions. Another cool feature of the newest 12 Hyundai forklifts is something called Operator Presence Sensing System (OPSS). If the driver happens to leave the control cabin, the forklift automatically engages the brakes. And since forklift maintenance is critical to long-term performance, the 9-Series lifts have a diagnostics system that enables owners to monitor the condition of components. The 9-Series diesel forklifts have enjoyed annual sales growth of 30% for the past five years, and HHI believes the newest 12 lifts will continue the positive sales trend. If you plan on driving one of the new Hyundai lifts, or already have a dependable forklift in place, CertifyMe.net has a training course for you. Our training and safety program gets you going in just 5 easy steps, and with online availability, you can take the classes whenever it fits your schedule. 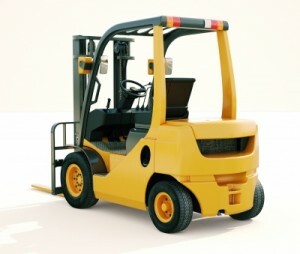 Certifyme.net specializes is OSHA-compliant forklift training. Trust us, you can’t afford an OSHA fine – and a safe workplace is a more efficient workplace. Some of the companies we’ve helped with their forklift training programs include Coca-Cola, Harley-Davidson, Jenny Craig, Snap-On Tools and more. Give us a call at (888) 699-4800, or visit our contact page for more information. We’re here to help! Thanks again for reading the CertifyMe.net blog, and feel free to check out our other articles.